Spectacular Ravine Property With In-Ground Pool & Located In Desirable Joshua Creek. This 4 Bedroom Home Is Well Cared For. Hardwood Flooring Throughout The Main & Upper Levels. 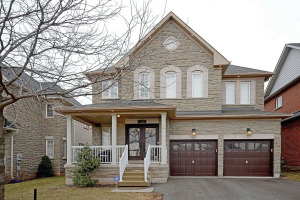 Main Level Is Elegant But Family Friendly With The Open Concept Kitchen & Family Room. Generous Sized Bedrooms With Master Suite Overlooking The Ravine. The Basement Has Everything To Offer, Family Entertaining, Gym Area, 2nd Office Or Multi Purpose, 3 Piece Washroom & Storage. Ss Steel Fridge, Stove, Built-In Dishwasher. Washer, Dryer, All Window Coverings, All Electric Light Fixtures. C/Vac & Equipment, Egdos & Remotes. Roof 2016, Front Door 2017. Hot Tub (As Is). In-Ground Pool And Equipment.